There's nothing quite like the taste of super fresh fruit straight after harvest. The region of Central Otago situated on the South Island of New Zealand is considered the country's fruit basket where stone fruit such as apricots, cherries, nectarines, and peaches are harvested during the summer as well as many apple varieties. 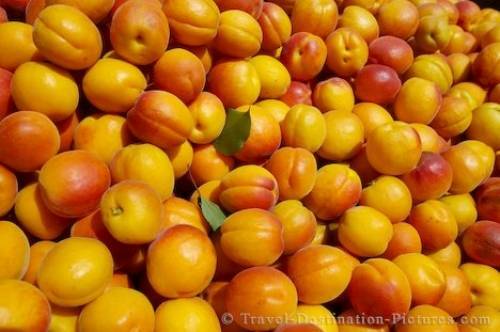 Fresh picked apricots at an orchard near Roxburgh, Central Otago, South Island, New Zealand. in Central Otago, South Island, New Zealand.